The Magic Millions 3YO Guineas is a $2 million Restricted Listed even held at Queensland’s Gold Coast Racecourse each January during the summer racing season. The Gold Coast Magic Millions Race Day features a total of nine events and offers a lucrative $10 million in total prize money. One of the richest Magic Millions races on the card, the Magic Millions Guineas is open only to three-year-old graduates of the Magic Millions Sales and is contested over 1400m under set weights plus penalties conditions. The other key race on the line-up is the $2 million Magic Millions 2YO Classic (1200m). Good lead-up races into the Gold Coast Magic Millions 3YO Guineas field each season include Doomben’s Listed Gold Edition Plate (1200m) in December and Brisbane’s Group 3 Vo Rogue Plate (1350m) held in Brisbane a fortnight before Magic Millions Day. Pierata (2017-18) was the last horse to complete the Vo Rogue Plate – Magic Millions 3YO Guineas double. 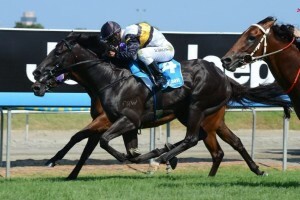 The latest edition of the Gold Coast Magic Millions 3YO Guineas ran on Saturday January 12, 2019. The Magic Millions 3YO Guineas 2019 results and finishing order will be published below as soon as announced on Saturday January 12, 2019. Magic Millions 3YO Guineas betting opens weeks in advance of the race with pre-field markets open on the likely runners in the feature showdown. Runners that dominate the Magic Millions Gold Coast Guineas odds each summer include those with previous Group status wins on their record, runners proven the right-handed way of racing, horses with winning form over a similar distance and those from the major training stables in the country. Also looking at the horses that ran well in the previous summer’s Magic Millions 2YO Classic race can be a good indicator of the now three-year-olds that will perform back at the same race day 12 months on. The Magic Millions 3YO Guineas 2019 odds will be listed below complete with market links as soon as available. The Gold Coast Magic Millions 3YO Guineas field usually draws a capacity line-up of 16 starters (plus five emergencies) with the season’s top three-year-old Magic Millions eligible runners facing off for the big prize money. Saluter (2013) was the last Queensland-trained Magic Millions 3YO Guineas winner. Photo Credit: Steve Hart. Open to both colts & geldings as well as fillies, many horses in the Magic Millions Guineas field come off a lead-up run at Brisbane or the Gold Coast giving them the experience the right-handed way of racing. The early Magic Millions 3YO Guineas nominations are taken by Racing Queensland the previous September followed by first acceptances in December and the final field the week of the race. The Magic Millions 3YO Guineas 2019 field will be released on Monday January 8, 2018 and published in full below. The official 2019 Magic Millions Guineas Barrier Draw then takes place on the Tuesday of race week. The official Gold Coast Magic Millions 3YO Guineas 2019 First Acceptances and updated order of entry are taken and released the first week of December, narrowing down the list of potential runners in the $2 million summer racing classic. Gold Coast Magic Millions 3YO Guineas tips include backing in-form three-year-olds with black-type winning form on their record and those from interstate stables. History shows visitors from stables in Sydney and Melbourne have a dominant record so backing a runner outside of Queensland is a good Magic Millions 3YO Guineas betting tip. Our Ladbrokes’ insider Gold Coast Magic Millions Guineas 2019 betting tips and exclusive summer racing selections will be detailed below the week of the race so stay tuned for the three-year-old Magic Millions Sales graduates to back and sack! The Magic Millions 3YO Guineas form guide has all the need-to-know race information including the saddlecloth numbers, Magic Millions barriers, jockeys and the trainers of all the horses in the field each Queensland Summer Racing Carnival. When doing the Magic Millions Guineas form it is important to look out for in-form runners from Sydney stables, graduates out of the key preparatory races like Brisbane’s Vo Rogue Plate and those with Group 1 form. A link to the Gold Coast Magic Millions 3YO Guineas 2019 Form Guide will be available below following final acceptances. Recent Magic Millions 3YO Guineas results have been dominated by horses trained outside of the sunshine state with the last Queensland-trained winner of the race being Saluter (2013). Fillies have winning form over the boys in the Magic Millions Guineas results including the victory of Sweet Idea (2014) and more recently Flying Jess (2017), but overall colts have enjoyed the most wins. Notable Magic Millions 3YO Guineas winners include Ha Ha (2002), Gold Edition (2007) and Mahuta (2016).